RiskWay is a sub-10µ trade control gateway for trading equities. RiskWay is tightly integrated with the TradeGuard RX risk engine to help customers trade across multiple destinations while protecting their activity with a robust set of pre-trade risk controls. With RiskWay, customers can access multiple markets with negligible latency impact and the added risk controls provided by the TradeGuard suite. External Gateway Manager (EGM) is an integrated solution that allows third party gateways to be controlled by the TradeGuard RX risk engine and take advantage of the pre-and post-trade risk parameters of RX. RX shows clients the current state of accounts, communicates breaches, and facilitates halts and activations of trading. 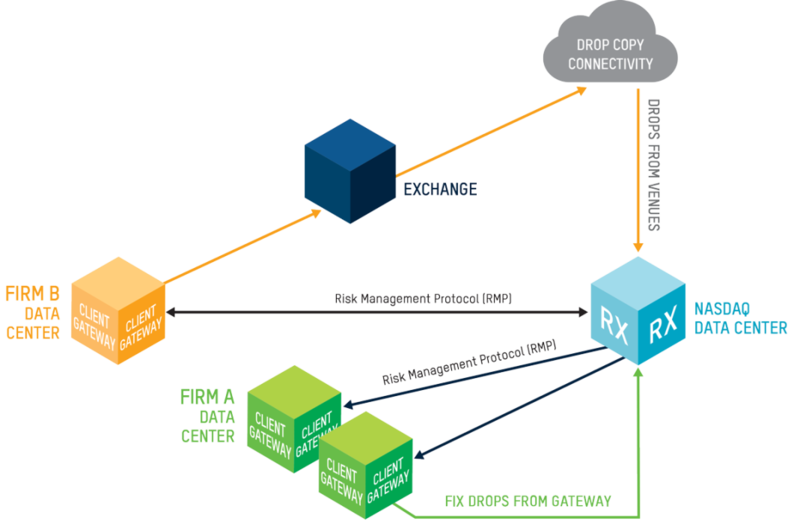 EGM permits clients to benefit from RX’s controls while retaining their own gateways.